I know there are 1001 reasons can make a server crash but could not point out specific reasons. Could you please tell me why do servers crash? and how to track them? I am much appreciated if someone can help me out. You can check them by running the 'top' command on the server. Top command will display the processes which are running and consuming the more resources. You can check the access logs on the server for checking the processes and requests coming to server. Exim logs can be checked for checking the SMPT and IMAP connections. 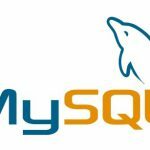 If you will find the MySQL processes then you can run mysqladmin -pr command for finding the user which is causing the MySQL issue on the server. There're no general crashes for a server. It all depends on the environment you're running. Which operating system, how its configured, which hardware you're running and so on. Most of the time its a human mistake such as drivers not being up to date, software that malfunctions or in the last case hardware that is failing. Based on my experience before as a co-administrator of a game server usually, our servers crash because of DDOS attacks done by our counterpart server. In order to prevent future attacks we pay additional cash to our server administrator to put additional DDOS protection. Maybe one of the reason why do some server crash sometimes is the volume of users. I think its a reason also because I've experiencing some game sever having a problem like the one i said. Because when the system server can't handle the maximum players it will crash, and it can affect the player on it. Or maybe because of those people who using third party software without any authorization of the main server, and that server don't have protection against it. Im not an expert, but i guess when server is experiencing a huge number of conections and/or processes and is unable to work properly, the browser displays a custom error code - see https://www.digitalocean.com/community/tutorials/how-to-troubleshoot-common-http-error-codes - related to "overload" status of server, "503 Service Unavailable"
For me, there are so many reasons why servers do crash. Firstly, it is due to the kind of software that you use. Meaning, there is something wrong with the program. It may not be able to cater the load of the data encoded. Another reason why servers crash is because of the hardware. There are some parts of the computer hardware that have defects. Another reason why servers crash is due to the voltage of the electricity that causes to corrupt the data. Lastly, it is because of the virus. System overload is one of the main reason on this but Configuration Errors are the common. A hung server that is offline due to mis-configuration. If you use the command line, an errant quotation can bring Apache, Sendmail or other critical systems to a halt. 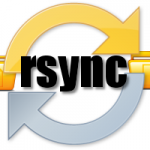 To quickly fix configuration issues, take backups. This way you can roll back to a prior configuration file. Or simply, stay out of the command line and use a tool like Plesk or cPanel to configure your system. The most common cause for server crashes that we see is faulty memory. This typically results in Kernel Panics at random intervals. 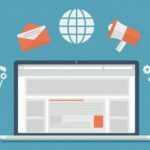 The most common reason we see for servers going offline, while not technically crashed, is server misconfiguration; most commonly setting up MySQL or Apache to use more RAM than is available. The server will start using swap memory until it runs out and then it'll start giving out OOM errors. The server will technically still be up, and respond to requests even if ultra-slowly. This typically results in an endless cycle as the server is so slow that there will always be more requests coming in than it can handle. Other not-so-typical crashes are due to bugs in the kernel, running of binaries that aren't mean for your OS, memory leaks allowed to be run for long enough to get all the RAM used, kernel/OS exploits. In most cases though, a well maintained server that is properly configured can run for years without ever going down other than for kernel updates. Some servers that have limited functionality can be left running old kernels since there's barely anything on it, limiting access to and from it anyways so they can literally stay up for years. In addition to everything already noted here are simply physical issues like power supplies burning out, cooling fans locking up, hard drives crashing and so on. The possibilities are endless. Server crash its because sometimes no moderator available for the sites or moderator b.c sometimes its because many many user used this site or sometimes its scam site and make it crash. But i think the main reason because not 100% secured the site that make thats why its turn to crash. cPanel unsuspend account command line?